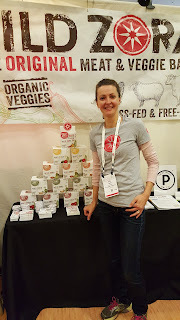 Disclosure: I tried all the products listed below at the Natural Products Expo West trade show. Some of the companies below also sent me home with small free samples. 1. 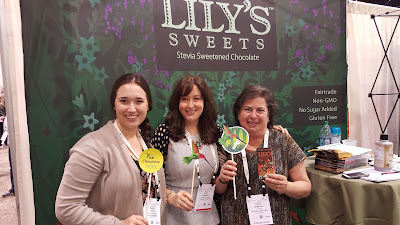 Lily's Sweets stevia-sweetened chocolate. I have tried just about every non-sugar-sweetened chocolate on the market, and Lily's is my favorite without question. It's smooth and creamy, melts evenly, and there's absolutely no bitter aftertaste, which you can sometimes get with stevia. 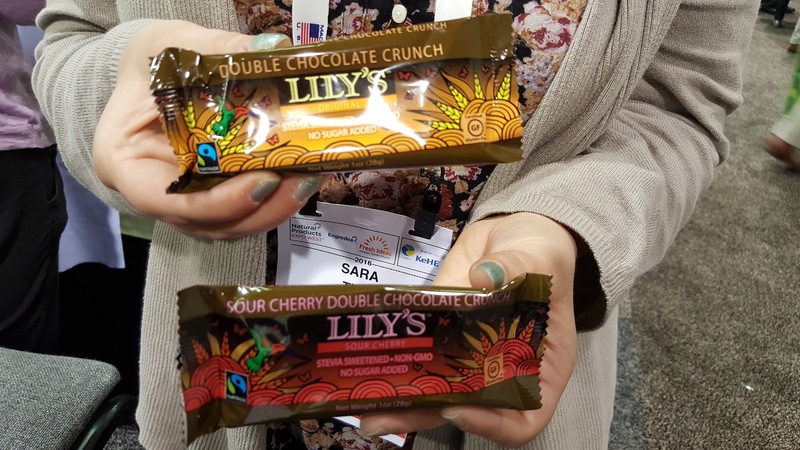 The Lily's team gave me some samples at the show (the Blood Orange flavor is fantastic), but I can assure you that I spend plenty of my own money on Lily's chocolate bars every week. 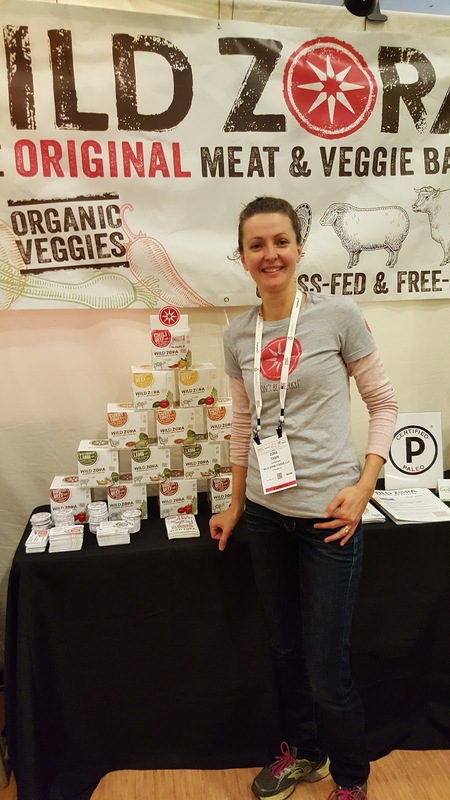 Look for the small snack-size bars at Whole Foods. 2. 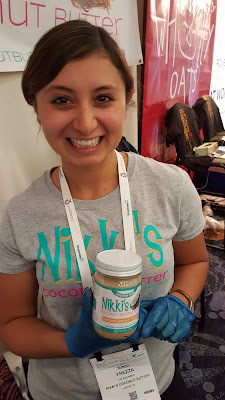 Nikki's Cashew Cookie Coconut Butter. 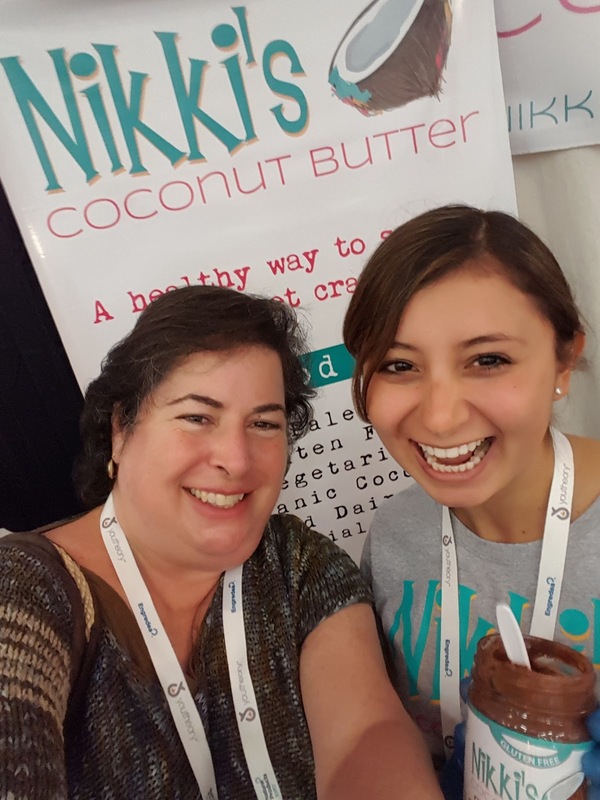 Nikki and I belong to a small group of women food entrepreneurs on Facebook and have been sharing our journey building our companies for several years. She has taught me so much about branding, balancing health and work and aspirations, and overcoming manufacturing challenges. This was the first time we actually got to meet in person and I could have hugged her for an hour. I love all of Nikki's flavored coconut butters (they're like peanut butter but made of coconut), but her brand-new Cashew Cookie Butter is the first with no added sugar, which means it fits perfectly into my current eating habits. It's smooth, rich and absolutely delicious. 3. 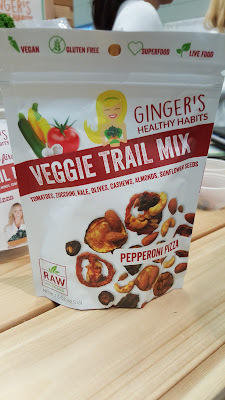 Ginger's Healthy Habits Veggie Trail Mix. One of the things I've missed most since reducing the carbohydrates in my diet is the salty crunchy category. I love chips! These veggie trail mixes totally hit the spot. I loved the Garlic/Herb and Pepperoni Pizza flavors. With zucchini, kale, tomatoes, olives, nuts and seeds, these two flavors really felt like a decadent savory snack. All thumbs up. 4. 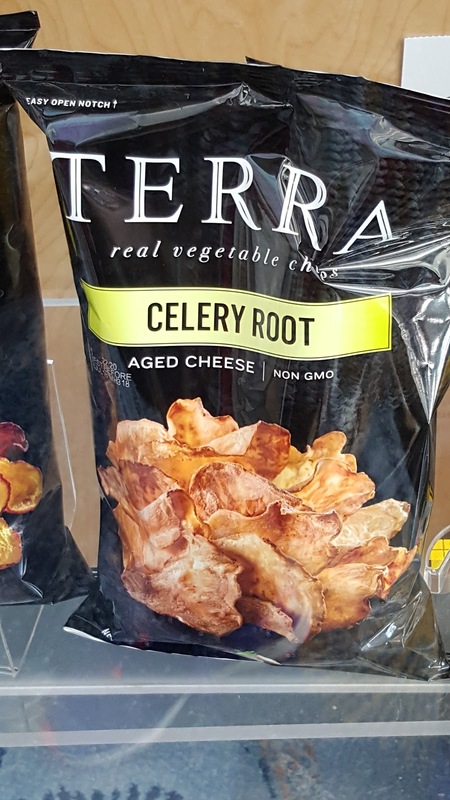 Terra celery root chips. Terra makes chips out of several exotic root vegetables, and these celery root chips are so new they're not even on the Terra website as I'm writing. They're not zero-carb, but they're lower than potato or sweet potato chips, and they had a very interesting flavor. Look for them in stores soon. 5. 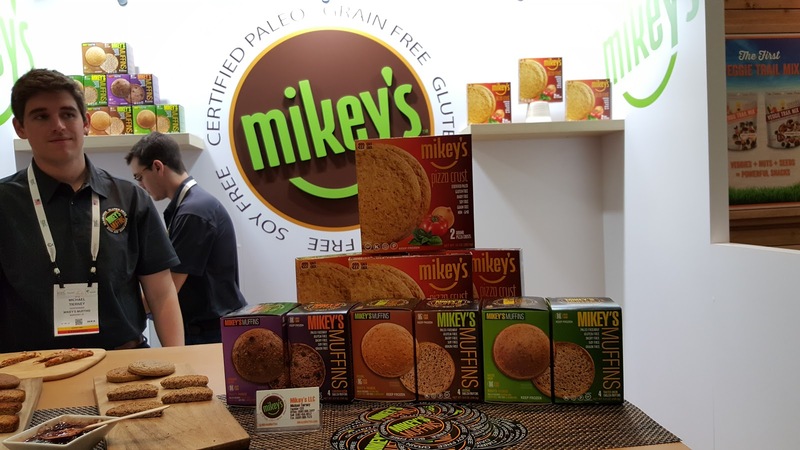 Mikey's Muffins. These Paleo English muffins made from almond and coconut flours come in three flavors (Original, Toasted Onion, and Cinnamon Raisin) and definitely satisfy my bread cravings. Like all English muffins, they're best toasted to golden brown. 6. Mr. Cheese O's cheese snacks. 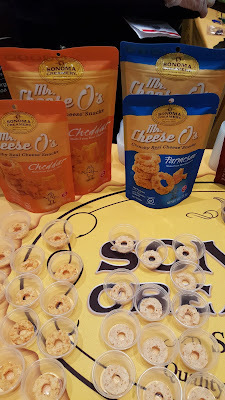 Made of real cheese and available in Original, Cheddar, Tuscan Herb, Sweet Chili, Zesty BBQ and French Onion flavors, these little rings offered all the crunch of a typical junk food cheese puff with very few carbs and truly delicious taste. 7. 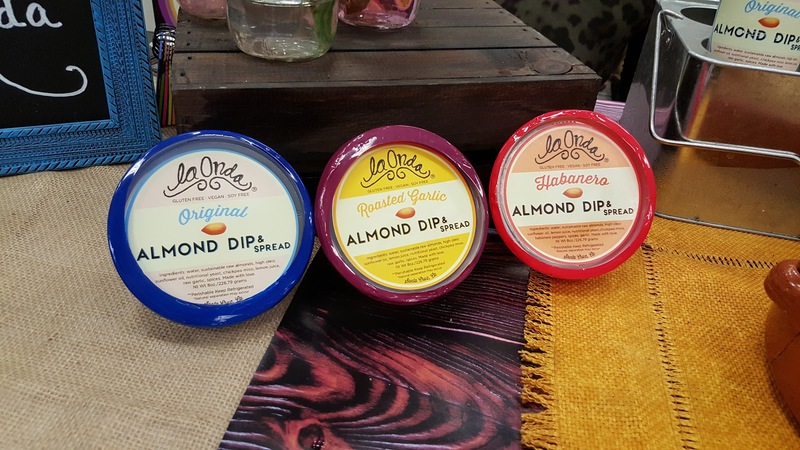 La Onda Almond Dip. 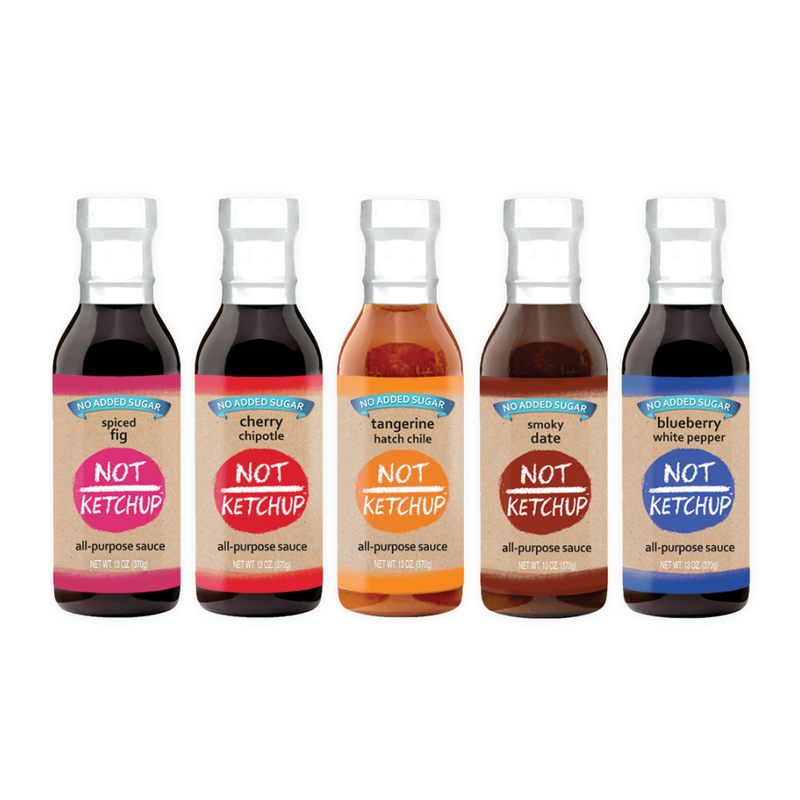 I wish I'd gotten more information about these products because their website is lacking. But they were delicious, like hummus but made from almonds. I'll update this if I find out more. 8. Siete Foods grain-free tortillas. I have cut just about all grains out of my diet, but I still need a bread-like vehicle, especially in the morning. 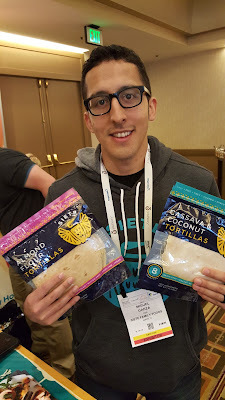 These almond flour and cassava-coconut tortillas were very good. I liked the slight chewiness and can see wrapping up a veggie omelette in these for breakfast on the go. They're definitely at their best when they're warmed. 9. Wild Zora Original Meat and Veggie Bars. There were bars galore at the Expo, but it was extremely hard to find bars without a lot of sugar or carbs. (Even the ones that were sweetened only with fruit had enough fruit to make each bar high in total sugar.) The Wild Zora bars are made with beef, lamb and turkey mixed with fruits, vegetables and spices. I know it sounds weird, but I thought these were delicious. My favorite: the Mediterranean Lamb Bars with Spinach and Turmeric, although the other flavors are also excellent. Weird as it sounds, a lamb bar with spinach and turmeric sounds good to me. I would go for it! Amazing at how many healthy snack food options there are!